I really enjoy British crime dramas. They are better than the vast majority of American crime shows in just about every way. First, the seasons run two to six episodes, generally, and tell a complete story. There may be a "monster of the week" (hat tip to Mr. Fish) but there is almost always an overarching story line that drives the series. And a really successful show might run two or three seasons. None of this CSI bullcrap. Second, the acting is really good. These shows almost exclusively use trained, professional actors. Looking through the IMDb pages for the actors is like browsing a list of British universities with drama programs. The point is, these shows are worth watching and thanks to Netflix and Hulu we can. Broadchurch is first on this list alphabetically and may be my favorite of the genre. It stars two of my favorite actors, David Tennant and Olivia Colman. Season one is about the investigation into the death of a young boy in the town of Broadchurch and season two deals with the trial of the suspected murderer of the boy and goes further into the backstory of David Tennant's character by re-opening the case that has been haunting him throughout. Don't be fooled into watching the American remake, Gracepoint, even though David Tennant (sort-of) reprises the role. He speaks in a terrible American accent and the show is terrible in comparison to the original. The Fall is a dark, brooding show following a Detective Superintendent hunting a serial killer in Northern Ireland. Gillian Anderson – yes, that Gillian Anderson – is the DS brought in to work the case after the local police reach a dead end and Jamie Dornan – a.k.a. Christian Grey – is the killer. It's a great show with lots of intrigue with many great actors with interweaving storylines. They've done three seasons but I've only seen the first two. Hopefully we'll get season three here in the States soon. Happy Valley is a great example of fine, British actors doing great work. Seriously. Sarah Lancashire's portrayal of police sergeant Catherine Cawood is amazing. And her sister is played by Siobhan Finneran, who Mr. Fish will no doubt recognize as O'Brien from Downton Abbey. Not to take anything away from the story in this show, which is great, but Happy Valley's real strength is in the performances from the actors. There are two seasons out and there have been preliminary talks about filming a third. Hinterland is the English-language version of a show produced in Wales, Y Gwyll, which translates to "The Dusk". This was part of a BBC initiative to have more Welsh shows, so they filmed it in both languages concurrently. Most of the cast and crew are also Welsh, obviously. If you're looking for a dark, moody, contemplative show this is the one for you. There are lots of shots of people being still and thinking. But the atmosphere and the cinematography really shine here. It's a beautifully shot series. There are two seasons. Luther is so good a show it almost deserves its own post. It's about DCI John Luther, a brilliant detective with lots of personal problems and demons haunting him (not literal demons). John Luther is played by Idris Elba at his Idris Elba-est. He's excellent. Much of the series he's pursuing a psychopathic murder played by Ruth Wilson who is also excellent in this series. There are three full-length seasons and a shortened fourth, which I didn't think lived up to the first three. But Luther is a worthwhile watch for any fan of good tv. Helen Mirren plays DCI Jane Tennison in Prime Suspect and, as you would expect from Dame Helen Mirren, she's excellent. Tennison is a driven detective in a male-dominated environment trying to solve a series of brutal murders. For some reason I haven't seen all of this one but there are seven mini-series of two episodes each - except season four which has three – and I plan on restarting and seeing all of them soon. Bonus: Ralph Fiennes is in season one in one of his first acting roles. I don't want to ruin the excellent moment in the first few minutes of River so I'm not going to tell you too much about it. It's about John River, played superbly by Stellan Skarsgård, a Luther-esque detective whose brilliant mind is offset by his internal demons. Specifically, River is haunted by the murder victims he couldn't save. There is one season of six episodes so it's very binge-watchable. Southcliffe is the story of a series of shootings told from various perspectives and in a non-linear fashion. It is very good, but may be a little weird on first viewing. 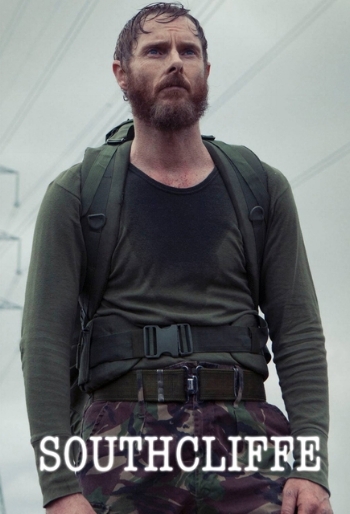 Rory Kinnear and Eddie Marsan (two of my favorites) have prominent roles and Sean Harris (who plays the shooter) won a BAFTA for his performance. There are four episodes so you can knock this one out in one long evening. Top of the Lake is an outlier in this list. It's set in New Zealand and stars an American. The series was co-created, co-written, and co-directed by Jane Campion (she wrote, produced, and directed the film, The Piano). Elizabeth Moss, who is a much better actor than I think most people give her credit for, plays Detective Robin Griffin. She's searching for a missing school girl who is also pregnant. There are two different Wallander series, both based on the series of novels by Henning Mankell, one Swedish and one British. I'm sure the Swedish one is great but I've only seen the UK one. It stars Kenneth Branagh – and he's excellent, as you would expect – but you'll also get some Tom Hiddleston and friend of the show David Warner as Kurt Wallender's dad. There are four seasons of three episodes each. The first two seasons of Whitechapel are great. Season one is about a Jack the Ripper copycat killer and season two is about a series of copycat crimes of the Kray twins. The series also stars one of my favorite British character actors, Phil Davis, who Sherlock fans will remember as the taxi driver from the A Study in Pink episode. The problem with Whitechapel comes in seasons three and four. They changed the format and the storylines started getting weird. Feel free to just watch seasons one and two. They have three episodes each. These shows are different enough that I wanted to keep them separate from the main list, but they both deserve an honorable mention. Unlike all the other shows here Vexed is a comedy-drama. It centers on DI Jack Armstrong, a lazy and disorganized detective who's partnered up with a by-the-book, efficient female detective in season one and a strong, competent female detective in season two. It's basically an Odd Couple situation but with cops. Season one has three episodes and season two has six. It's a good, funny cop show. I don't think any description I could give of Sherlock could do it justice. It's just a great show. If you are unaware, it's a modern re-imagining of the Sherlock Holmes stories starring Benedict Cumberbatch as Holmes and Martin Freeman as Watson. It's great and you should watch it. There have been three seasons of three episodes each and a special (which I think was a bit underrated). Season four starts in January of 2017 and season five is in the works.